Before, during, or after treatment some patients may develop swelling in a limb or other part of the body as a result of the cancer and/or treatment of the cancer. This swelling might be, or potentially become lymphedema. Lymphedema is a long-lasting swelling which makes the affected limb feel heavy and which may eventually result in joint damage or infection, if left untreated. Lymphedema most commonly occurs after a surgery in which lymph nodes are removed or when the lymphatic drainage system is disrupted. It can occur with the removal of only one lymph node, as in a sentinel node biopsy. Or it may occur if a tumor is blocking the flow of lymphatic fluid to or from a lymph node region. Additionally, radiation therapy to lymph nodes or a region of lymph nodes can increase the risk of lymphedema development. Patients often believe that if lymphedema has not occurred within a few months of surgery or treatment, that it is no longer a concern. Unfortunately this is not the case. Lymphedema can occur years after the treatment due to strain or injury to the limb, or even with normal, everyday use. Education about the prevention of lymphedema, as well as the signs and symptoms of lymphedema is very important and is available at Highlands Oncology. At risk patients should be prepared to monitor for lymphedema the rest of his or her life. 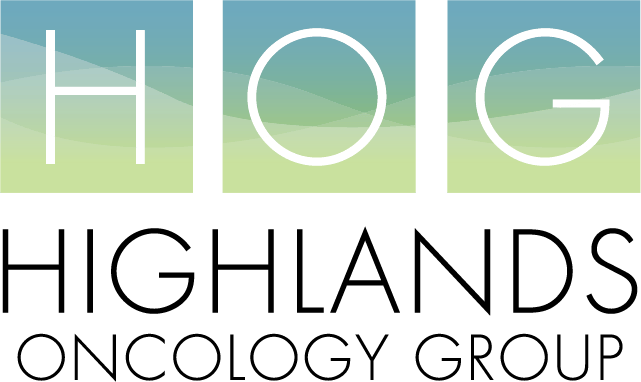 The doctors, nurses, and therapists at Highlands Oncology are prepared to answer any questions and/or evaluate new symptoms. Our lymphedema therapists can provide lymphedema education, treatment, as well as ongoing monitoring. Bandaging supplies and skin care items are available, and referrals can be arranged for compression sleeves and stockings. Lymphedema education classes are offered at both clinics. For more information please call (479) 878-7076 or 1-800-381-6939.